Consumers are constantly searching for any new information to pop up about the iPhone 5. Apple fans are craving at every new supposedly leaked photo and every piece of information that surfaces. But if you notice, a lot of the rumors point to minor things like a slightly bigger screen, a smaller dock connector, and an overall thinner phone. Nothing so far points to a major “wow factor” like the retina display when the iPhone 4 launched. We’ve all been spoiled to expect something magnificent from the hardware and if processor isn’t twice as fast and the camera isn’t stepped up then disappointment seems to shroud tech blogs everywhere. But the iPhone 5 doesn’t need any of that, and here’s why. It might be difficult to remember, but when the 4S launched a short year ago, it didn’t tout any major leaps. It consisted of relatively minor improvements to the hardware and it still had sales numbers most companies would die for. And so far it seems iPhone 5 will be going through those same kinds of improvements, but that could still lead to huge sales when you consider the hype surrounding it. I say “minor” because a thinner iPhone with a bigger screen and strong battery life is nothing short of amazing when you consider what Apple needs to do to make it all work in such a small space. But we’ve grown used to those improvements so they seem to lose their luster every time they come about. Photo leaks really only show what iPhone 5 will look like or could potentially look like. And the specs often rumored are due to the fact that Apple’s supply chains can be tracked and parts and information can be leaked from the factories. But the thing that people will never really know about until release is the software. Apple’s software is in-house making it much harder to leak. And if the preview of iOS 6 was anything to go by, then the software is where you really want to find the innovation. Things like an updated Siri, an entirely new Maps app built from the ground up, and the game changing potential in Passbook could all be what really makes iPhone 5 shine. 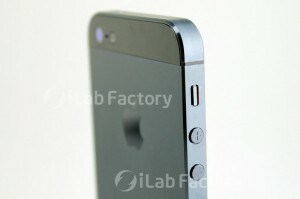 Many people looking to buy the iPhone 5 are owners of the iPhone 4 that skipped over the 4S. Even with small touches and improvements, they will still purchase it because iPhone 5 will be a huge step up from what they currently own. You also have the group that I’m part of; kids on their way to college and looking to get a new phone. And if past releases have shown anything, it’s that there are plenty of people who will want it because it’s Apple. Even though it may not be “amazing” by some people’s standards, it will still be the best iPhone to date. And sometimes, that’s all you need to get people interested.